San Mateo is a beautiful coastal California city home to beautiful gardens, walking trails, and waterfront areas, perfect for a weekend trip or a week-long getaway. 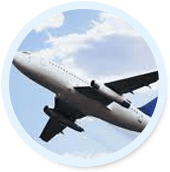 If you're looking to travel into San Mateo with a group of friends or family, San Francisco Charter Bus Company has you covered for all of your transportation needs around the Bay Area. Coaches cost less per person and are just as comfortable as airplanes. Plus, your bus can take you into San Mateo and drop you off right at your hotel! 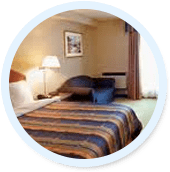 Choose from a variety of amenities such as reclining seats, air conditioning, and plenty of legroom, with WiFi and televisions available upon request. Instead of relying on public transportation or rideshare apps, book a bus that operates on your time. You won't have to worry about learning new routes or waiting around for the public bus to show up. Your driver will be ready and waiting for you when it's time to leave and will make as many or as few stops as you'd like. With a private bus, you'll ride comfortably around San Mateo with a selection of amenities such as air conditioning, reclining seats, on-board WiFi, televisions, and DVD players. Stuck in traffic? Your driver will worry about pushing through the city's gridlock while you relax with friends and family on your bus. Don't worry about renting cars, separating your group, and risking getting lost in an unfamiliar city. A bus will help keep everybody together, and you won't have to worry about that one person who always shows up late. 5. Your Driver Will Deal With Traffic And Parking. Instead of worrying about finding parking, your bus driver will be able to drop you off at San Mateo's most famous attractions, and will pick you up as soon as you're ready to leave. Your driver will also handle the stress of sitting in traffic while you sit back and relax on your bus. 6. Relaxing And Socializing Come First. Take a driving tour of San Mateo from the comfort of your own personal bus. You'll be able to enjoy the scenery with panoramic windows and reclining seats while your driver transports you throughout the city. Spend some time chatting with your group with San Mateo as your backdrop. We recommend a ride up US 101 for beautiful views of the bay. We'll pair you with a driver who's an expert at navigating the San Mateo streets, so you don't have to worry about learning new routes or driving yourself. 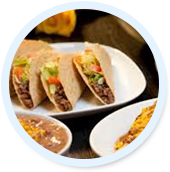 Ask your driver for recommendations of the best restaurants and other local haunts during your stay. 8. Business Professionals Will Stay Connected. Corporate travelers can make the bus into a mobile office with amenities such as on-board WiFi and power outlets. Get some extra work done, prepare for an upcoming presentation, or hold an impromptu meeting on the road. If you're attending an event at the San Mateo Convention Center, we'll be your personal shuttle service between your event and your hotel, ensuring that you'll always have reliable transportation during your stay. 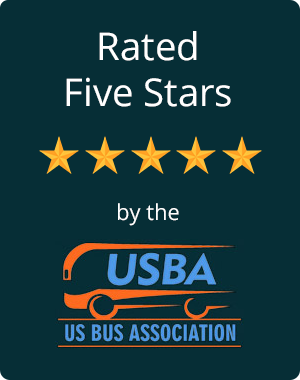 Having logged over 5 million miles across the nation with 0 accidents, we're the safest choice for bus rentals. We only work with drivers who undergo rigorous training and background checks, and we only charter buses that are safety-approved according to California's Department of Transportation Services. Between undercarriage luggage bays and overhead bins, you'll have plenty of space for luggage, carry-on bags, and more. Load your things onto the bus when your trip is starting, and everything will stay put during your journey. With a bus, there's no chance of your luggage mysteriously getting lost. Have any questions? Our sales representatives are available 24/7 for questions, tips, and making reservations. Call us at 1-650-204-9561 for a free quote today!